I have been making my own iced tea at home for as long as I can remember. Living in the south, it's referred to as 'sweet tea', and you may likely get cut if you call it iced like I do. I have a Mr. Coffee Iced Tea Maker that was actually handed down to me a long time ago and it is seeing its last days. The pitcher has cracked and started to leak. Although I can easily order a new pitcher on Amazon, I was lucky to find a brand new unit for only $8.00 more. 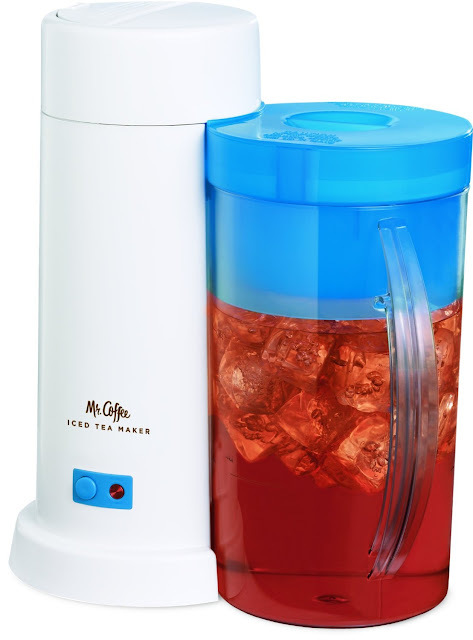 Check out this great deal for the Mr. Coffee 2-Quart Iced Tea Maker, Blue . It's under $20 and if you have Prime, you can get free two-day shipping. I am thrilled that I can replace my old machine and also ordered a replacement pitcher as well (Mr. Coffee TP1-1 2-Quart Replacement Pitcher for TM1, TM1P ) . If you are looking for an easy way to make iced/sweet tea, you have to get this! It makes a great gift as well. 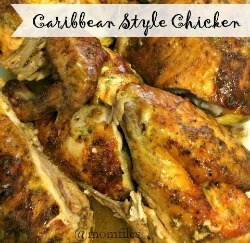 You can't beat the price and I'm excited about my gift to myself. Mine will arrive on Tuesday **insert the heart-eyed emoji here** This is the BEST way to make sweet tea, so go get one for yourself too!